Your lot will be invoiced at this rate. NO EXCEPTIONS. N.Vietnam 1965 - Military Stamps / Rifleman Jumping Wall - MNH. ▣ The "Over Print" stamp of the US military in 1946. ▣ 가격은 물품값 배송료 3,500원(묶음배송도 3,500원). ▣ 한국인 사이의 거래는 페이팔 결제가 되지 않으니, 낙찰 후에 별도의 계좌를 알려드립니다. CONDITION: Each stamp sets were individual ly scan ; what you see, it was you get, th erefore, look at the scans. (see scan for more details & conditions). In good condition. Both sides are scanned. Mint Hinged, No Gum as Issued. Scroll down and hit the blue button when. When you are done adding, hit this button. Ready to send request for new invoice with. The item in the photo is the exact item you will receive. How to get the invoice when you buy more than one item. 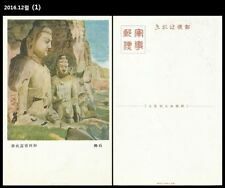 CHINA,PRC:961 Military Museum Issue (Sc 588-9), used with gum, very good cond. Issued October 22, 2016 stamp set of 6. Victory of the Red Army of Workers & Peasants. from the People's Republic of China. COMMIT TO BUY & SUMMIT REQUEST. When you are done adding, hit this button. Scroll down and hit the blue button when. Wait for my invoice. Ready to send request for new invoice with. VIETNAM,1973, “Victory at Quang Tri”. Nicely edited & a nice find of these Asian Countries. China Stamp 1977 J20 50th Anniversary of Chinese People Liberation Army MNH. Serial number: J20. PR China 50th Anniversary of Chinese People's Liberation Army, Very Fine, Mint Never Hinged. I lived in Asia during the 1970’s as a U.S. Army dependent, where I stated my stamp collection. 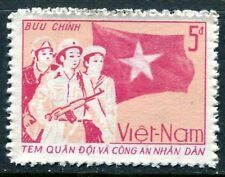 Block of 4 PRC 1995 Military stamp MN. China 1940's SYS. stamps & others Surcharged for Military use. MLH. Sender was G E Reynolds, USS Luzon. The Luzon was built in Shanghai and served on the Yangtze River Patrol. She was scuttled in Manila Bay in early '42 to prevent capture by the Japanese. These mint never hinged blocks are in excellent condition. They have full undisturbed original gum with no perforation separations. However, credit cards are accepted. Military Pre World War I. Military appear to be Japanese Marines holding a defensive position. Franked with Regular Issues (1899-1907) Scott # 91 and # 93 tied by cds. CONDITION: Very good. Very light soiling. With Dah in the button. Scott M2 Variety. Perforation 13½. In fair condition. Both sides are scanned. The barracks of the Hong Kong Garrison are distributed over Hong Kong Island, Kowloon and the New Territories. The Shek Kong Barracks and Ngong Shuen Chau Barracks are used as the Hong Kong Garrison’s air and naval bases respectively. MANCHUKUO, 1939. China, Manchukuo, 1939c.